The College Football Championship game Monday offers up plenty of betting opportunities, most of which appear below. 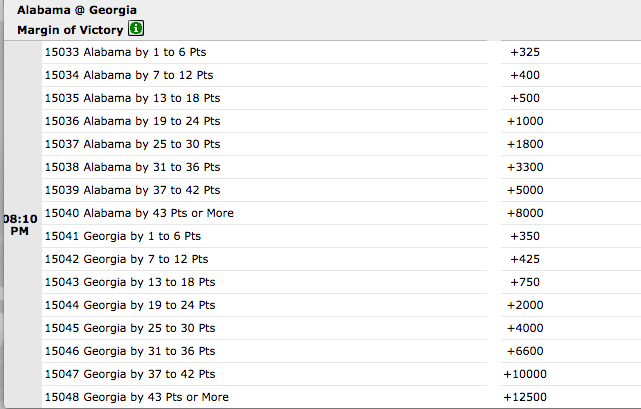 Margin of victory, player props, highest scoring half, time of first score (OVER/UNDER), and much more are available. More prop wagers appear below. Will There be a TD of 43 Yards or Longer?